At one with nature and comfortable in her own skin, the refined blend of flowers and fruits in this sultry female perfume is the perfect fragrance match for her gentle yet confident nature. 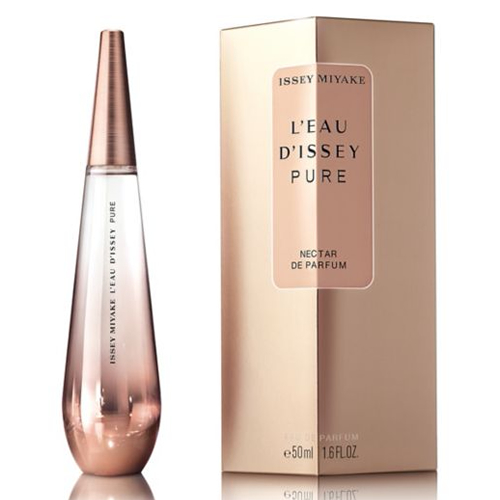 The gorgeous scent of the L'Eau d'Issey Pure Nectar Eau de Parfum stems from its decadent core of sweet rose. Sticky facets of pear and soft dew essence drip over its sugary petals which are then dipped in creamy, sandalwood to create its airy and opulent aroma.